Join us for a full-day of hacking and data-driven travel research @hack/reduce on October 19th, 2013. Find correlations and trends in the mountains of data generated by the travel, tourism and hospitality industry. Visualize, sonify, apply, and do what you do, hackers! We will provide compute power, bandwith, exclusive data sets, mentors, and domain experts. There will be cash and travel prizes given away just for showing up, showing off, and creating something so great that jaws drop in awe. With potential to interest a broad audience as an open source project, business venture, consumer impact, or internet virality, your project will be a winner! Here's your chance to ask big questions and potentially solve big problems in one of the world's biggest industries: Travel. What are the patterns of flight delays? How crowded is our airspace and what are the implications? What searching and shopping patterns are detected in the data? How can data visualizations present patterns in the data sets? What marketing patterns, problems and solutions can be seen in shopping, flight routes, and other data? What other publicly available data (e.g., weather, seasonal events/holidays, etc.) can be matched against the proprietary data provided? What public policy issues might be addressed from patterns in this travel data? 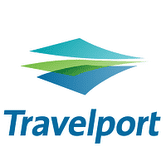 Travelport, a travel technology solutions and distribution company based in the UK, will provide data with results of searches for travel options by travel agencies and planners. Amadeus, a travel technology/distribution company based in Spain, will provide a data set for queries by travel agencies searching for travel on behalf of their clients. 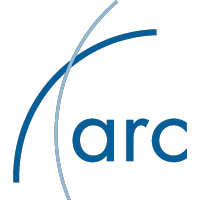 Airline Reporting Corp. (ARC), a travel financial processing and settlement company based in Virginia, will provide a data set from an entire year of flight tickets. FlightStats, a flight information company based in Oregon, will provide a data set of 50 million flights from 2011, including reference data for airports, airlines, and aircraft seating configurations. Must be on site at hack/reduce, 275 Third St., Cambridge, MA. Find correlations and trends in the mountains of data generated by the travel, tourism and hospitality industry. Visualize, sonify, build an application, and do what you do, hackers! Has the project used all or some of the data provided for the hackathon in an interesting way? Is this project immediately useful? Could the the correlations you've identified offer immediate consumer/social impact if addressed with your recommendation(s)? Does your project "wow" the audience? Have you used this data to create something aesthetically pleasing? Is your work information art? A fun App? A compelling way to see or hear this data in a powerful way?